Mulberry Group appears to be defying the luxury downturn following the introduction of a new accessible pricing strategy and the arrival of a new creative director. The luxury British leathergoods company today reported full year sales and profits up strongly – with the first 11 weeks of the new financial year seeing a 9% sales rise. Preliminary results for the year to March 31 saw pre-tax profit surging 226% to £6.2m from £1.9m a year ago. The company more than reversed the prior year’s £1.4m net loss with net profit of £2.6m, as revenue rose 5% to £155.9m and retail sales rose 8% to £118.7m. Mulberry’s investment in onmnichannel also paid off with online sales up 19% to £21.4m and representing 14% of group sales compared to 12% a year earlier, a relatively high proportion for a luxury brand. Thierry Andretta, Mulberry's chief executive, said last year was one of "significant progress" and saw new creative director Johnny Coca’s first collection being "well received by both the UK and international press and partners." Andretta added that "our UK manufacturing base, which produces around 50% of our bags, has remained a core strength and point of distinction." The brand stumbled badly in recent years as it tried to tap into the ultra-luxury handbag market with a radical increase in average prices and luxe positioning. But poor customer reaction saw plunging profits and a falling share price leading to a strategic reversal that could have gone badly given the recent weakening in the luxury bags category. Since then Mulberry appointed Coca, who joined from influencer label Céline last July, and followed a new pricing strategy that now mixes high-end with more affordable ‘premium’ price tags. This also led to a marketing rethink. Coca, having redesigned Mulberry’s flagship Bayswater bag, launched a social media campaign around the redesign, targeting both new and existing customers. 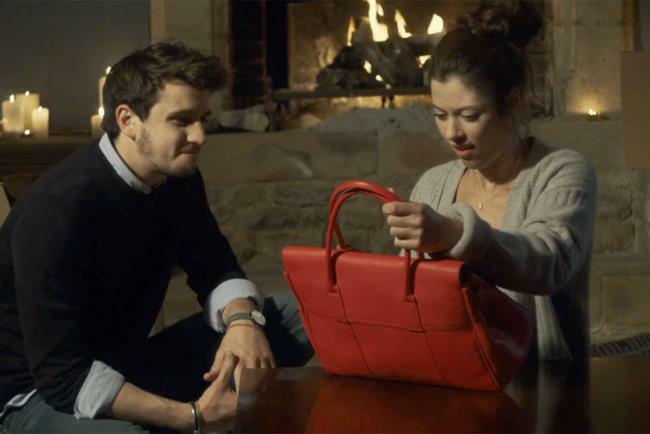 The #MyBayswater campaign featured both company-generated and user-generated content. Mulberry also shook things up for its Christmas campaign with a video ad, created by Adam & Eve/DDB, that gently parodied the nativity. The spot, in which a handbag played the role of baby Jesus, generated plenty of complaints but these were not upheld by the Advertising Standards Authority.